I would buy the Lapis Blue... but then again I would say that. ? I like the first year Carrera 2 the most, don't ask me for a rationale explanation, I just think they are a great expression of the vintage! The only thing wrong with the Lapis car is the lack of amber indicator lenses.... you absolutely need those on a first year car! Just out of curiosity as someone who is new to this world, is that really worth an extra $20k over this one below... if so, could someone explain why it would be? In my opinion no, but then I own a MK1, ask a MK2 owner and they will say yes. You could also ask are 997's worth double a comparable condition MK1 996, same thing, 997 owners will say absolutely, I would say absolutely not. I think it looks great with the blue and extended tan combo. Just wondered if the .2s were such a premium over the first model for engine size/ E-gas or another reason. Just personal preference and because not many tan interior lovers then. The red suits ok for sure, might look a little too much with the guards red as well in person... cookie cutters suit a narrow body so well. still trying to get my head around the premium for manual cars? cars seem to stay on carsales for awhile. you have better luck sending your money to a Nigerian scammer, than winning a bid there don’t you? Amazing how the historical issues with the 2.7 are apparently no impediment nowadays. Most interestingly, the auction house did not reply to clarify anything. I have bought smaller items from them before and it really is buyer beware as the auction house really is not the greatest integrity checker- luckily they took back the items I bought, however, I would later see the same broken item re-auctioned later without any disclaimers. But at $34,000 current bid it seems reasonably priced still. Yep, you don't see too many people make complaint about the carrera 2.7 engines (these used the same 7r cases). The Us 2.7 models were a problem with their pollution/exhaust setups adding extra heat to the underside of of the engine. Yes I had understood it was mainly an issue with the thermal reactor US market 2.7 - still the 2.7 has always been the red headed step child (no offence to the gingers). I forget - are the cases Mg or Al? still the 2.7 has always been the red headed step child (no offence to the gingers). I forget - are the cases Mg or Al? The cases are. Mg & delicate. Very common for headstuds to pull out of its C/Case on medium K engines, not just in USA. They were 'cheap' for a long time so crap rebuilds were common too. See the "Home Built by Jeff" early videos for a very bad example. The rare cars (RS & so) were looked after because they were more valuable - but it was common back then to upgrade an ordinary car to a 3.0 SC Al motor. I remember people throwing away 2.7 motors instead of fixing them. The first ali cases after the mg cases were the ones to have as they could also run the early cranksafts. No need - I think it's well-known view, but not usually applied to RSs etc. 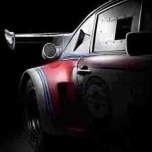 - the MFI offers a certain glow to those cars which overshadows the shortcomings of Mg engine cases etc. I just think it is interesting to have seen the commentary change over the past 20+ years or so that I have been in this hobby (first Porsche was a 924 Turbo at 21). Perhaps a little revisionist history is in play, as the aircooled cars become more desirable and in vogue (therefore more expensive), thanks to the new blood entering the market and (of course) the self-promotional capabilities of various outlaws. Just a personal observation - nothing against 2.7s personally and I like the narrow body G series look too. The going explanation is that all the 2.7 engine issues have been fixed by now. There once was a time not so long back when you had to have a 3.0 case and a galvanised car. This was to create scarcity and dissacoiate your car from the glut of unloved mid years. The oz-delivery tag is also to disassociate your car from the glut of imports. However as more people want that air-cooled coolness, these things get undone as shortages arise and previously insdesirables need to be brought back to desirable. in time the IMS affected cars will eventually be welcomed back into the fold due to their cable throttles and lack of turbo etc etc. fried egg lights will be ‘iconic’, worn plastic interiors will be ‘period correct patina’ and so on. its all about creating artificial shortages when not faced with a real shortage. yep. 2.7's were (are?) long considered a moving roadblock. now rose tinted glasses and scarcity has seen them become viable purchases. the aftermarket has kept up as well, so there are easier ways now to make the 2.7L cars able to move out of their own way. whereas before it was a lot of work and 3.6's were cheaper.. now it is the reverse. making a rev happy 2.7 with ITB's and decent engine management is much easier to do these days. Have to agree with the last statement - our 67 outlaw is running a warmed over 2.7 & it drives & sounds fantastic...makes the C3.0 putting out similar hp feel subdued. Slow news day, so let’s talk about this guy.. he has a 911 on a hoist that he probably should sell, but can’t really be bothered doing too much, so all you get is a dodgy photo taken on his Nokia from down below. Take it or leave it guys, but he reckons it’s pretty good ? That's a whole new level of salesmanship ? ?